Flat Key 4 Disc Tumbler Switch Lock – Multi Positions. Lock head added with Stainless Steel cap/dust shutter for outdoor use available upon request. 10pcc, 2 keys per lock, keyed alike. Main lock material: Zinc alloy housing & barrel. S.P.D.T., on-on, keyswitch. Key removable in both positions. Rated 2A 250V / 4A 120V. 19mm threaded bushing mount. Nice, snappy feeling when switching from one position to the other. Includes two keys. Size: 12 x 29mm (15x29 including bevel). Standard 12x29mm On/Off key switch. Supplied with 2 keys - compatible with each switch in this line. Key is removable ONLY in the OFF position. GEBA 16 AMP IP54 Industrial Roller Shutter Surface Mounted Door Key Switch. ROLLER SHUTTER SPARES. The manufacturer's warranty does not cover any product or part, which has been subjected to misuse, abuse, modification, negligence or accident, nor does it cover any product, which is used for any purposes other than for which it is intended as stated in the specific manufacturer's product information literature. The way in which these electrical switches work is the janitor or custodian simply inserts the switch key into the tamper proof electrical switch, turns the switch to the ON or OFF position and then removes the key so no one other than the person with the key can tamper with the switch. Key can be taken out when the switch is in the ON or OFF position. 1pcs Key Switch. TheHubbell #2101-RKL Barrel Key, operates in Hubbell® Extra Heavy Duty Industrial AC Locking Switches. Light switches placed in public or semi-public areas play an important role in security and safety. Dielectric Strength: 1500VAC-1 Minute. 2 keys per lock;. Key code# 2007;. Garage Door / Roller Shutter. Key Switch. steel security doors. steel security gates. 3302SR, all keyed alike, key code# 2341, 2 keys per lock. Main lock material: Zinc alloy housing & barrel. 10pcs, keyed alike, 2 keys per lock. 2 keys per lock;. Key code# 2007;. Black; Zinc alloy;. 3302-2, all keyed alike, key code# 2341, 2 keys per lock. Main lock material: Zinc alloy housing & barrel. Tubular Switch Lock 10PCS. Main body material: Zinc alloy Housing and Barrel. Model # : GCX3430. Key Selector Switches. If you do not have an account No Worries! your account number during checkout. More Information Office Hours. Keyed can be taken off when the switch stays on or off position. Quantity: 1x. Part: Key-Switch-K3. MK 20amp Key Operated Switch K5252 ALM. Condition is New. Dispatched with Royal Mail 2nd Class. Normally Open. Model # : 800F-Q10. Available Carriers. More Information SKU# SB-117338. The #1498 locking switch key is apre-1976 design and used with Pass & Seymour lock switches manufactured and installed in locations before 1976. - Pass & Seymour #1498 Tamper Proof Electrical Switch Keys. 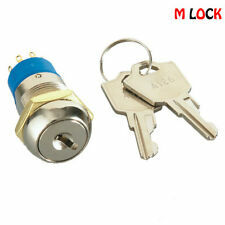 Tubular Switch Lock 40PCS, 2 KEYS PER LOCK, ALL KEYED ALIKE. Main body material: Zinc alloy Housing and Barrel. 2 set - Key lock set. Momentary contact double sided key switch spring return when turning key. You get everything in the picture to install. For sale is for 1 Key lock set. It functions like a basic on/off switch but you can only use it with the key. 1x Key lock set. Made in USA. -4Amp 125V. The housing is triple-plated. NAMA Standard 3/4” mounting hole with two “flat sides” (AKA “double-D”). The insulation resistance is 500 MΩ minimum. The dielectric strength is rated at 1500 VAC, one-minute. SW20 keychange: 60172. fort lock tubular key switch keyed alike. Keyed Alike. Lead Length 10". Add to Favorites. New Arrivals. 8 sets - Key lock set. JUST £24.00 geba. KEY SWITCH FOR USE WITH ROLLER SHUTTER /Garage Door 16amp. 70pcs all keyed alike. Keyed alike;. Lock body length 1 1/8". 2 keys per lock;. New key switch. Manufacturer Part Number:CG4-A290-600-FS2. NKK Key Switch, Part Number. Single pole with 12 mm dia. 2 Keys of chromate-over-zinc alloy provided with each switch. Includes a 2 pin Connector ready to use on your application. It can be removed if not needed. 16 AMP IP54 Industrial Roller Shutter Surface Mounted Door Key Switch. ROLLER SHUTTER SPARES. THRESHOLD SEALS AND RUBBERS. Realise and understand the risks before undertaking any repair. Your health and safety is paramount. Tubular Switch Lock 200PCS. All keyed alike, 2 keys per lock. Main body material: Zinc alloy Housing and Barrel. The #1498-NT electrical switch key is apre-2007 design and used with Pass & Seymour lock switches manufactured and installed before 2007. 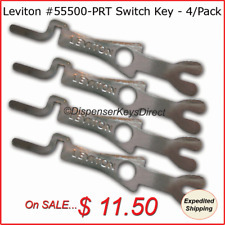 - Pass & Seymour #1498-NT Tamper Proof Electrical Switch Keys. Keyed different. Key pullin "on" position - key turns 90 degrees clockwise to "off" position, maintaining (not spring loaded). Add to Favorites. New Arrivals. Security system. 3PCS, 8 keys in total. For sale are for 5 Key lock sets. they functions like a basic on/off switch but you can only use it with the key. 5 x Key lock set. Pass & Seymour 500K Electrical Switch Keys. 12 - "NEW" (OEM) Pass & Seymour 500K. (Tamper Proof Electrical Switch Keys).